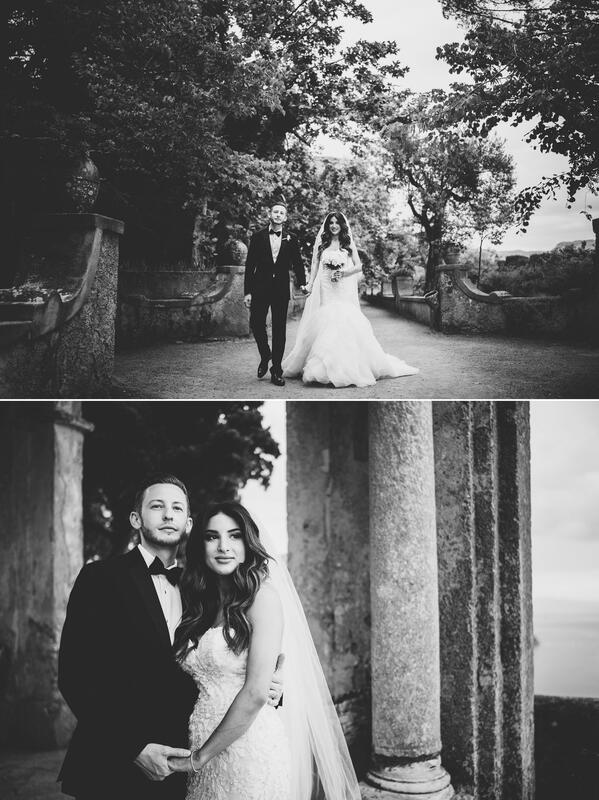 As soon as I had finished photographing this wedding in Villa Cimbrone I once more got to thinking about how lucky I am. I do a job that I love, and which allows me to meet marvellous people and visit incredible places. 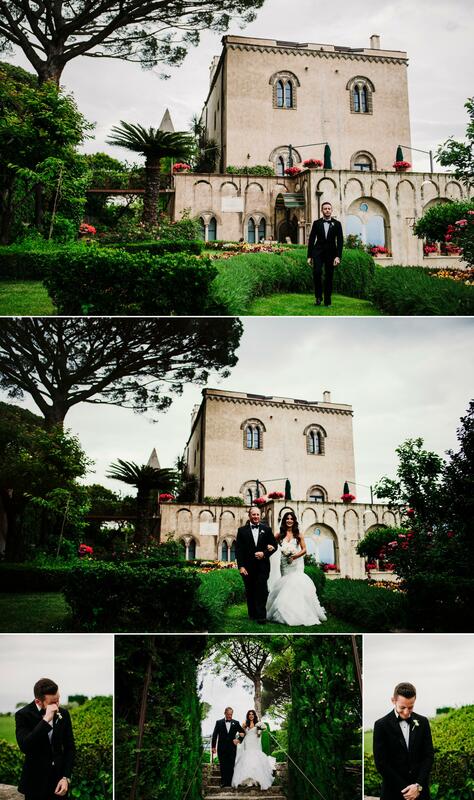 This is exactly what happened with Danielle and David, and their famlies who played with me in the festive atmosphere of Ravello. 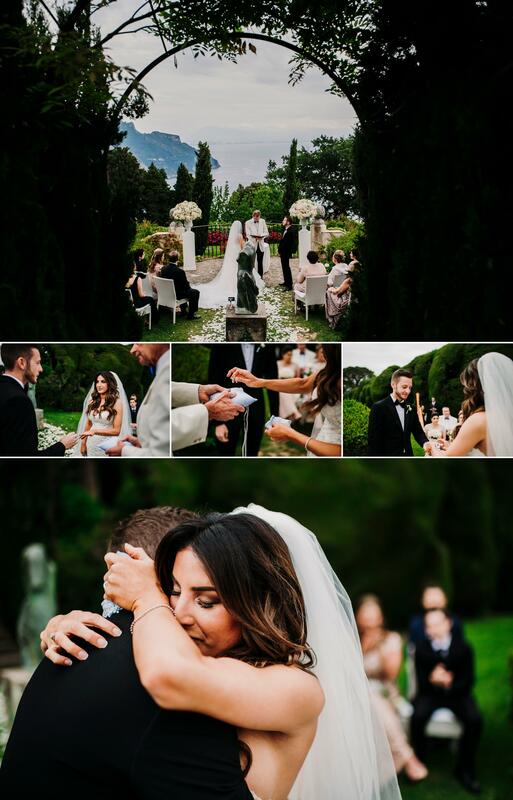 The ceremony and the party were well organized by Tara, and were held in the gardens which were in full bloom, in this jewel in the crown of the Amalfi Coast. The panorama is breathtaking.